Heading into every weekend, I’d like to do a little post about some things that are happening locally that may be of interest. This could be concerts, festivals, races, and just any activity. 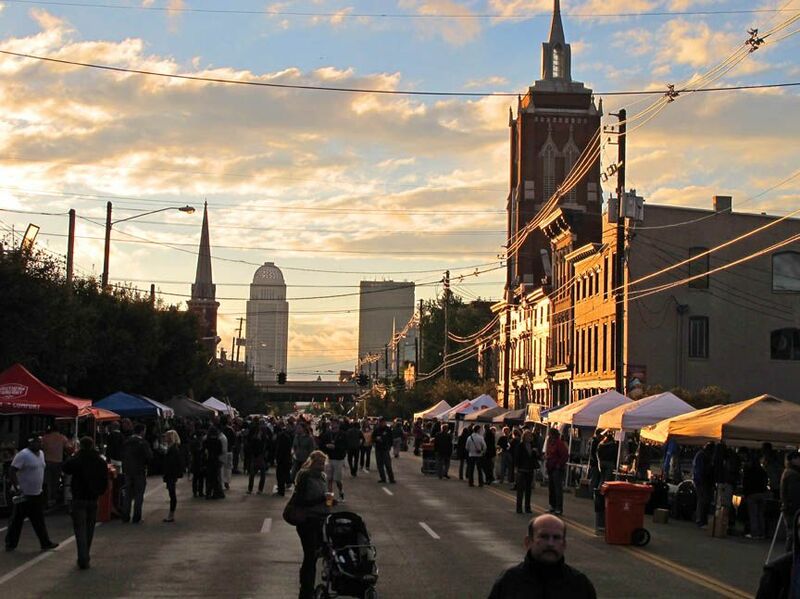 There is so much happening in Louisville that this will just be a glimpse of some things you can do this weekend. Enjoy! *St. Joe’s Picnic for the Kids - The largest picnic in Kentucky. All proceeds support children who have experienced severe neglect and abuse. Takes place at St. Joseph Children’s Home on Frankfort Avenue beginning at 5:00 p.m.. Admission is $10. *Derby City Jazz Festival - Two-day outdoor smooth jazz festival held in the Paddock at Churchill Downs. There will be food trucks, retail vendors, cigar bar, and a selection of wine and spirits. Event begins at 3:00 p.m..
*Seven Sense Festival - Taste-making festival that is held at Gravely Brewing Company. Nearly 40 local, regional, and national acts. There is also local food, arts & crafts, visual art performances, and specialty beer and cocktails. Begins at 6:00 p.m..
*New Albany Bicentennial Park Concert Series - Live bands performing in downtown New Albany. Tonight will feature Southern Avenue and Shannon Vetter. Event is free and will be from 6:30 p.m. - 9:30 p.m.
Every week, I would like to spotlight something in our great city that people may or may not know about. Maybe it’s a park, a museum, a restaurant, or another attraction. For this one, I chose to highlight the Belle of Louisville. I assume everyone has heard of it or seen it, but maybe you don’t know everything that can be done on the steamboat or what the schedules for cruises are. Hopefully this will shine some light on those things. The Belle of Louisville was built in 1914 and is the oldest operating Mississippi River style steamboat in the world. It can hold 650 passengers. It is fully heated and air conditioned. It has a concession stand and a bar, as well as a dance floor. You can sit indoor or outdoor, and there is no smoking anywhere on the boat. There are several different types of cruises that you can take on the Belle. You can go during the day or at night. They offer stargazing, musical, and historical based cruises. You will want to check the schedule on belleoflouisville.org to plan your perfect cruise. Advanced reservations are needed if you would like to have lunch or dinner on the boat, and this does guarantee inside seating. There are all kinds of loan programs out there when you are searching for your perfect house. 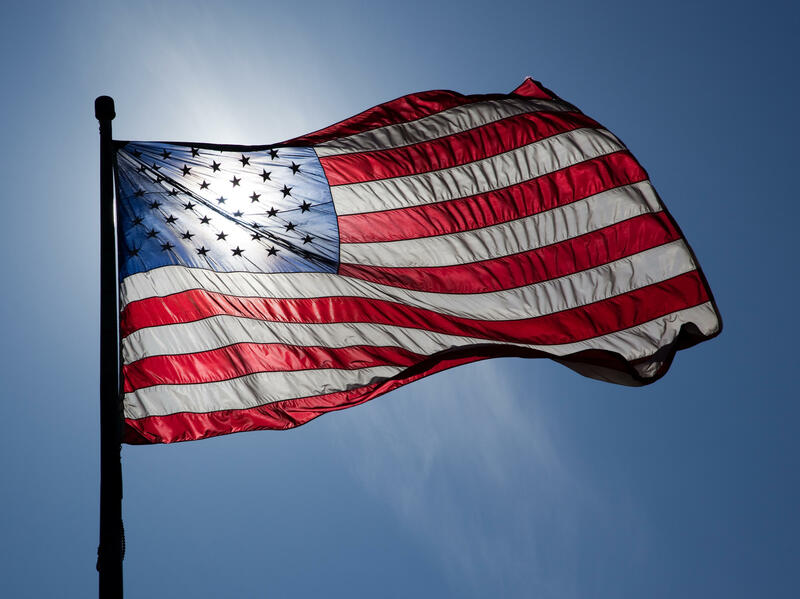 But did you know that there is a loan that is specific for veterans? That’s right. The VA loan has been around since 1944 and it could be exactly what you are looking for if you qualify and meet the eligibility requirements. So let’s talk a little bit about this particular loan. This is a loan that was created in 1944 by the US Government to help our service members buy a home without the help of a down payment or a great credit score. The loans are issued by private lenders. Not just veterans. This also extends to active duty service members, select military spouses, National Guard members and reservists. The Department of Veterans Affairs must ultimately approve eligibility. -You have served 90 consecutive days of active service during wartime. -You have served 181 days of active service during peacetime. -You have more than 6 years of service in the National Guard or Reserves. *Movie Night at the Zoo - Bring blankets or lawn chairs and come on out with the family to watch a movie on the big inflatable screen. There will be games for all ages and a meet-and-greet with Iron Man. Event is from 5:00 p.m. - 10:00 p.m.
*Brew at BU - Come out and sample a wide variety of local beers, wine samples, and food. This takes place at the Bellarmine University Quad. Tickets are $37.50 per person, but if you are a designated driver, your ticket is only $10.60! This begins at 7:30 p.m.
*The Little Mermaid - Broadway musical will be at Derby Dinner Playhouse all weekend. *New Albany Bicentennial Park Concert Series - Live bands performing in downtown New Albany. Tonight will feature With Wild Adriatic and Anemic Royalty. Event is free and will be from 6:30 p.m. - 9:30 p.m.
*PurpleStride Louisville 2018 - Fundraising walk to benefit the Pancreatic Cancer Action Network. Walk starts at 8:15 a.m. at Beckley Creek Park. 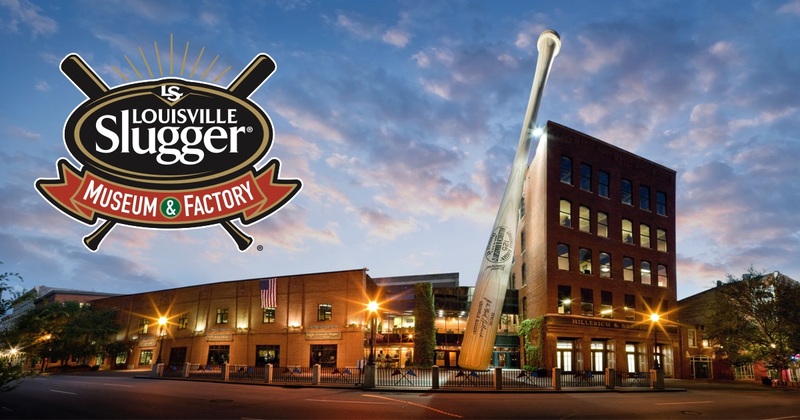 In today’s blog, we will spotlight another local attraction in the city of Louisville that can be found downtown, and that is the Louisville Slugger Museum & Factory. If you watch Major League Baseball and see players using bats that say Louisville Slugger on them, they came from this factory right in our town. The headquarters have been located at 800 West Main Street since 1996. If you are in the area and can’t seem to find it, just look for the 120 foot tall baseball bat out front. It is 68,000 pounds. Fun fact: the bat was built at Caldwell Tanks, where my mom works, and when they were constructing it, we got to go out and write our names inside of the bat. If you go to the museum, go ahead and take a tour. They depart every 10-30 minutes, depending on the season. You will get to see how a bat is made, from start to finish. The amount of work that goes into making just one bat is incredible. Players in the major leagues are very meticulous about their bats, so they have to be made just right. You have a chance to see how that is done. After the factory tour, you will receive a free souvenir Mini Bat! Any fans of The Sandlot? Until September 9, there is an exhibit titled “Legends Never Die!” which celebrates the movie’s 25 year anniversary. There are some pretty awesome props on display from the movie, such as the Babe Ruth baseball that the kids try to get back from The Beast, Squints’ eyeglasses, Louisville Slugger bats swung by the team, and more. If you are thinking of buying a home soon, there are plenty of things that you will have on your plate. Who will be your agent that represents you? What part of town do you want to live in? 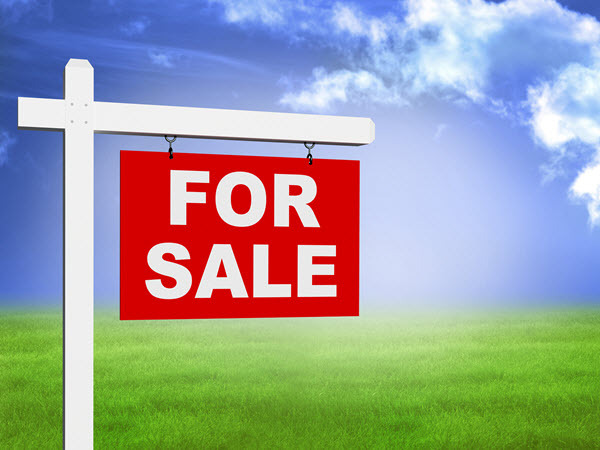 Will you need to sell your home at the same time? It’s a lot to take on. Another thing, unless you are paying cash, will be the mortgage process. This may be all new to you. There are some tips that can help you during this process and I will share them here. Find out what your credit score is. You may still qualify for a loan even if you do not think that your credit is good enough. There are several websites that can show you what your credit score is, or you can have a lender do it for you. Which leads me to my next point: choose the right lender. Everyone knows somebody. Sometimes, people choose to work with their friends who are lenders, and it does not always work out. Our agents work with the best local lenders that can get you the best deals that are available to you. You will definitely need a lender that you can trust. After all, this is a pretty big life decision, right? In today’s real estate market, inventory is low for the number of buyers out there. In simpler terms: there just are not enough houses for sale to match up with all of those people looking to buy. Because of this, if you are even considering selling your home, now could be the perfect time. But you want to be smart about it. Sure, you may be able to sell it on your own, or what is called going the “For Sale By Owner” route, but it could be more trouble than it is worth. You can take a lot of stress off of your plate by having an agent list your house and do that work for you. If you sell your home on your own, you are taking on a lot of responsibility. First, you have to negotiate the contract, and more than likely, you will be negotiating with a buyer’s agent who knows what each section and page mean. Do you? Do you know about inspection deadlines and response time? Speaking of inspections, you are then going to deal with what buyer’s agent on repair negotiations. But there is not much wrong with your house, right? The home inspectors will find plenty of things that you are not aware of or that you consider to be a big deal. If the buyer’s ask for things to be fixed, it’s on you to deal with the agent on what will and will not get done. It seems like everyday we are celebrating something now. It’s always “National fill in the blank day” whether that is best friend day, ice cream day, puppy day, or anything else we have seen. I am not sure if these are actual traditional days, or if they are being made up lately just to have a reason to post several pictures to celebrate said days. Either way, the city of Louisville is making sure to have a full week to celebrate something: burgers! That’s right. It is Burger Week here in town, and that is a real thing. It runs from July 23-29 and you can get $5 burgers from some of Louisville’s best restaurants. What you want to do is grab your Burger Passport at Louisvilleburgerweek.com and get yourself eligible for a grand prize drawing featuring a grill and ultimate grill out! How does that work? You print your passport and take it with you and get it stamped at your location of choice. You are eligible for the grand prize when you have collected at least three stamps. You can eat a burger at three different places, right? In today’s blog, we will highlight a local treasure that you may or may not know about or have visited yet. If you like outdoor activities, then you must visit The Parklands of Floyds Fork. What is it? Where is it? What all can you do? Does it cost money to get in? What are the hours? Let’s dive in and answer all of those questions as we talk about one of the most beautiful parks in the Louisville area. The Parklands is a public park system, made up of four parks, that covers nearly 4,000 acres of land. It is donor-supported and the parks are connected by 19 miles of the Louisville loop. The parks are located east of the Gene Snyder Freeway, between Shelbyville Road and Bardstown Road. Those roads cover a lot of ground. Essentially, it’s the Middletown area of Shelbyville Road and the Fern Creek area of Bardstown Road. It follows Floyds Fork, a tributary of the Ohio River. -Sports fields with room for soccer, football, frisbee, and more. -Bark park for the dog in your life. *Shania Twain concert at the KFC Yum! Center. Concert begins at 7:30 p.m.
*Lebowski Fest - Celebrate 20 years of The Big Lebowski at Executive Strike & Spare. This event is also on Saturday. The time is from 6:00 p.m. - 11:00 p.m.
*Concerts in the Village featuring The Newbees - Westport Village and 106.9 are putting on a free summer concert series. This one will be with The Newbees, a 12-piece rock n’ roll band. Food and drinks available for purchase, and it begins at 6:00 p.m.
*Sand Dodgeball Tournament benefiting breast cancer at The Goat. Each team receives four free drink tickets. Starts at 6:30 p.m..
*Smashing Pumpkins concert at the KFC Yum! Center. Concert begins at 7:00 p.m.
*NULU Luau from 1:00 p.m. - 10:00 p.m. Live music, pig roast with pulled pork sandwiches, limbo contest, fire dancers, and more. Every summer in the Louisville area, people are able to take tours of custom-built new homes for about two weeks. This is called Homearama, a tradition that dates back to 1968. During this two week time period, people are able to take tours of these fully-furnished homes that feature modern and updated interior design, building trends, and technology. This year, Homearama will run from July 14-29 and will be at Catalpa Farms, which is a new sustainable development with over 200 acres of land. It is a conservation community with abundant preserved open green space. There are trails, lakes, and community gardens. And soon, the neighborhood will also feature a dog park, trails, clubhouse, community center, a playground, and more. Catalpa Farms is technically located in Fisherville, Kentucky. When you are at Homearama, you really are seeing the best of the best in today’s trends. The in-home theatre rooms, fitness areas, outdoor living spaces, it’s all top notch. While it all may seem overwhelming to some, you can at least gather some ideas for your current home or your future home you are planning in your head. I encourage you to take notes while you are there. What do you like? Are there certain designs in the kitchen that stand out to you? Do you want to decorate your outdoor patio like house number three? Make note of these things and make a return trip if you want to. Why is summer a good time to buy a home? We know that the housing market is usually busier in the summer. But why? Why is the summer a good time for people to buy a home? According to keepingcurrentmatters.com, there are four main reasons for this. -Home values continue to appreciate. In fact, they have appreciated by 7% over the last 12 months, according to CoreLogic. That report also predicts that the price of homes will increase by 5.2% over the next year. -Interest rates for a 30-year mortgage have increased by 0.5% to around 4.5% in 2018, according to Freddie Mac's Primary Mortgage Market Survey. The National Association of Realtors, Freddie Mac, Fannie Mae, and the Mortgage Bankers Association all project that the rates will increase by nearly a full 1% by this time next year. -Are you paying rent right now? Isn't that money that could be going towards YOUR mortgage and not your landlord's mortgage? You are already paying it, but you are deciding whose mortgage you are currently paying. -Prices of homes and mortgage rates are projected to increase. If you are thinking about moving, there is a reason. Are you going to wait and let those rates continue to increase? Or do you know that now is the time to make the move for yourself and/or your family? Buy sooner and not later. Save yourself some money. Great news if you are thinking about putting your home on the market! 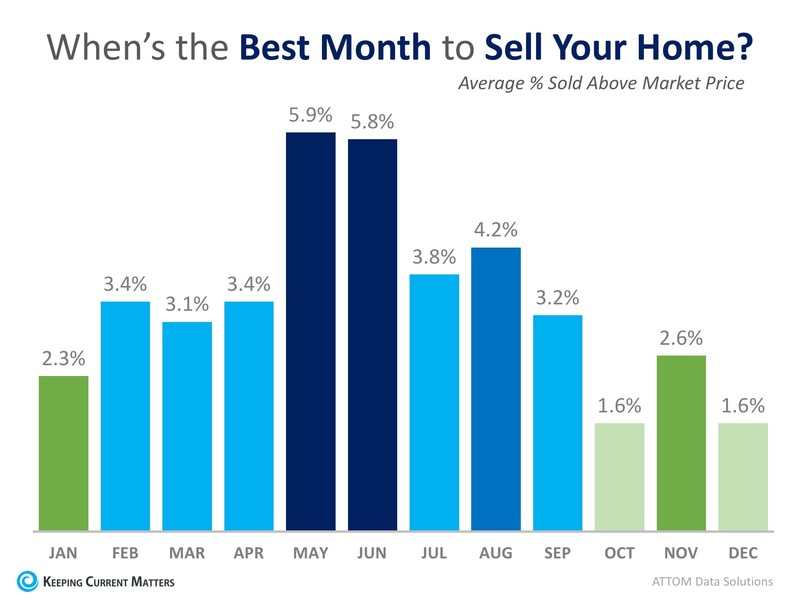 According to attomdata.com, the month of May is the best month to sell a home. This was from an analysis of 14.7 million home sales from 2011-2017 across the country. Below is a breakdown by month of the average % sold above market price. According to the National Association of Realtors, homes sold in an average of just 30 days last month! However, homes that were listed with the Brad Long Group (and went under contract) were only on the market for an average of two days! Thinking of selling your home? Let us know! Now is the time to make the move! There is always a lot going on in the city of Louisville, but that is especially true during Derby season. There are several events that are family friendly around town. Check out what is going on this weekend, which is highlighted by Saturday’s Marathon and Mini-Marathon. Great Balloon Rush-Hour Race. Bowman Field, public entrance off Pee Wee Reese Road, 7 a.m.
Kroger’s Fest-a-Ville on the Waterfront and Kentucky Derby Festival Chow Wagon. Waterfront, 11 a.m.-11 p.m. The Miller Lite Music Stage will feature live concerts with local and regional entertainment and a wide variety of musical genres including jazz, R&B, country, rock and blues. Neigh-Maste on the Waterfront. Kroger’s Fest-a-Ville on the Waterfront, Great Lawn, noon-1 p.m. Relax and recharge at this yoga event at the Waterfront. All-level yoga class for all ages and fitness levels. Certified instructors from 502 Power Yoga, Buti Yoga and Soul Cleanse Yoga will lead the class on the Great Lawn inside of Kroger’s Fest-a-Ville. Admission is free with a 2018 Pegasus Pin. Food, drinks and pets are not allowed. While spring time is a busy time in the real estate market, sellers and those considering listing their home with a Louisville real estate agent shouldn’t wait until the weather breaks to start on the preparation for selling their home. There are many things to consider when selling your home at the height of the market, so don’t wait to act on them because last minute preparation will prevent you from really taking advantage of the large pool of buyers that comes out in the spring. The following are a few tips to employ when the frost is still on, in order to be ready right at the beginning of the 2014 spring Louisville real estate season. Begin formulating your game plan during the winter months. Do your own homework and study the local market changes. Enlist a knowledgeable real estate agent to help you find a home and put you in touch with perspective buyers for your existing one. Confirm your financing options well ahead of time. Getting pre-approved is critical to ensuring all of your bases are covered. You are never obligated to employ any particular Louisville real estate agent or agency. When choosing the one for your real estate transaction, you want to be confident you have a full and open path of communication with your agent. Make sure you are comfortable and truly feel he or she has your best interests in mind. There is nothing wrong with searching further for the right real estate agent in Louisville to assist you in the selling of your home and finding a new one. Do you want the best of both worlds? 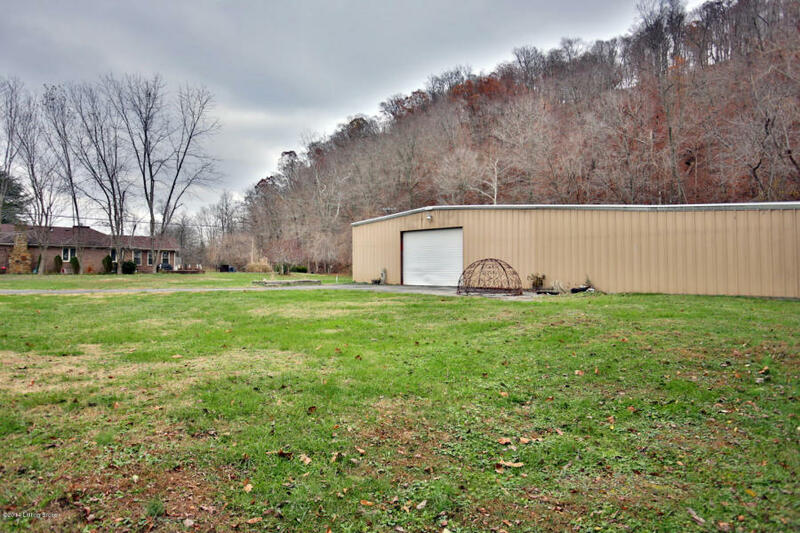 Privacy and acreage but close to shopping, restaurants and activities? 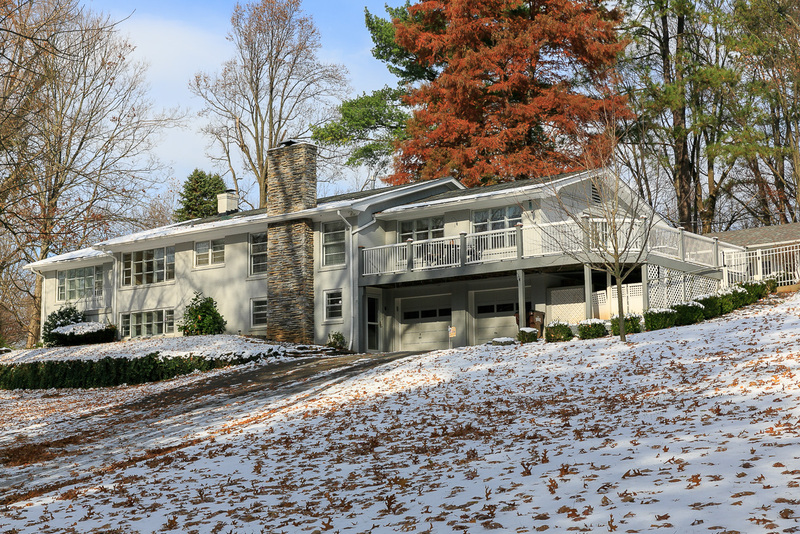 This beautifully renovated, mid-century modern, Ranch home in the sought after neighborhood of Ten Broeck has it all! This home is located in a gated community on 2.5 wooded acres with a calming babbling brook on the property which attracts plenty of deer. This beautiful home features a salt water, heated, in-ground pool with pool house, perfect for entertaining your friends and family all summer long. This 3 bedroom, 3 full bath home has an open living room (currently being used as an office), a gorgeous formal family room with hardwood floors, fireplace and built-in shelving. The master bedroom has a new custom built, walk-in closet. 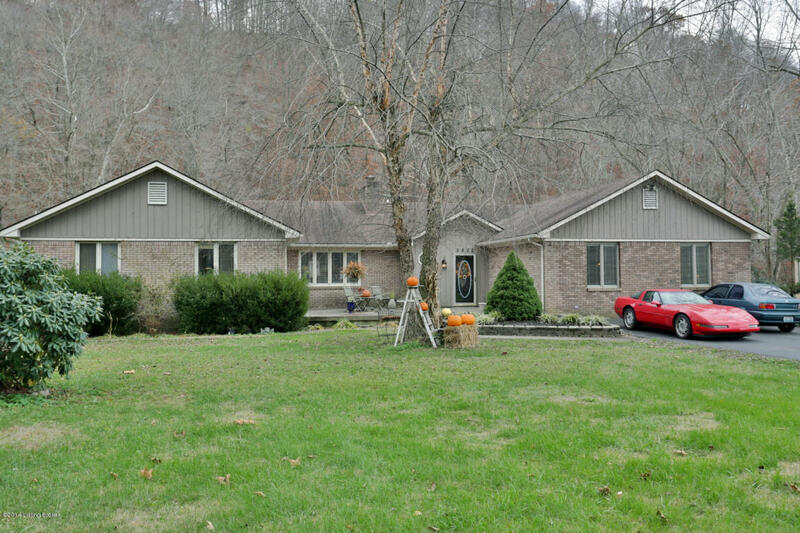 Awesome 3800 sq ft brick home in Bullitt county with almost 3 acre that backs up to creek, in ground pool, sauna, hot tub, huge out building with electric and insulation. Formal living and dining room, rec room ,Florida room, galley kitchen with granite counter tops and lots of cabinets with a huge island, 2 fireplaces,new paint and carpet with hardwood floors in main areas, buck stove insert, HVAC and water heater 2 years old, land is flat and backs up to creek. About the Author: Brad Long is the Team Owner of the Brad Long Real Estate Group - For all of Your Louisville Real Estate Needs. In today’s fast paced world, the cliché stating “Home is Where the Heart Is,” has never been truer. 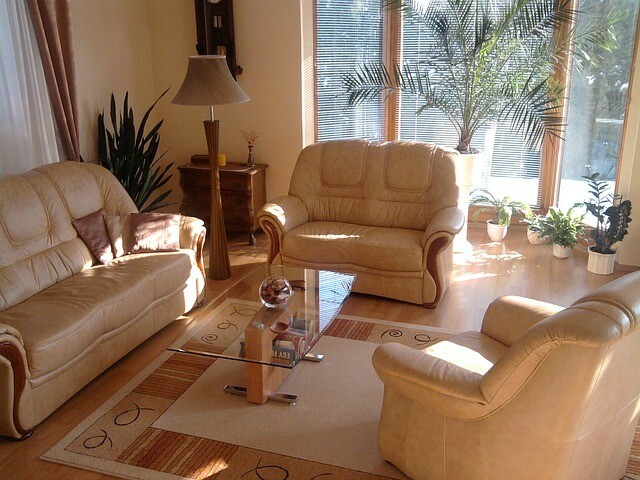 There are inexpensive and convenient ways to improve your home in every aspect. 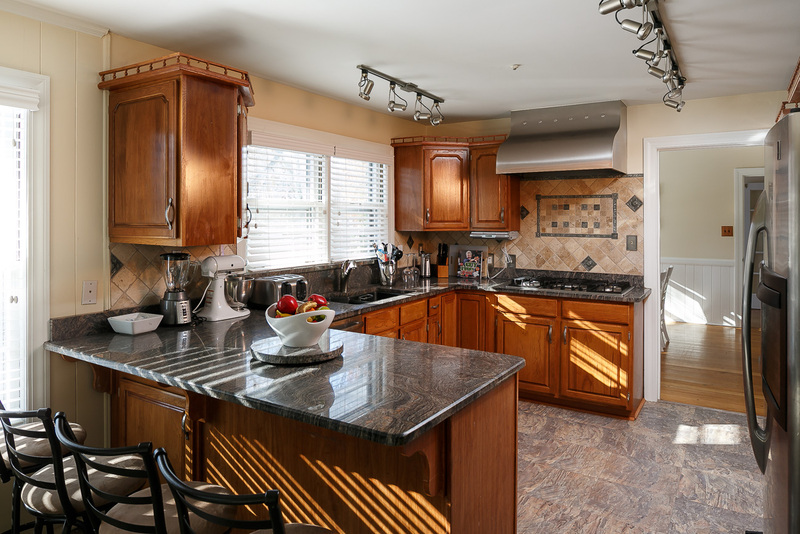 If you are getting ready to sell your house in the Louisville real estate market, then it is critical you make the most out of your kitchen so buyers feel at home in the room. 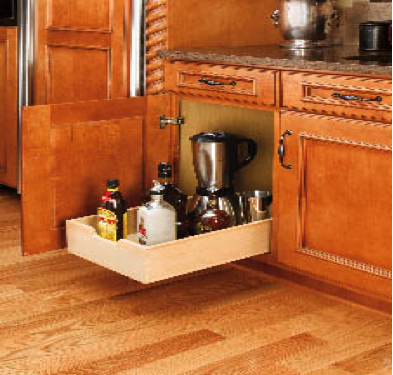 Renovate and update your kitchen by adding pullout shelves to your cabinets, a roll-out trash can in your pantry, and get gliding shelves installed in the current spaces that can’t be fully utilized with convenience and ease. When it comes to shelving installation, pullout shelves are one of the most popular cabinet solutions in today’s contemporary kitchens. 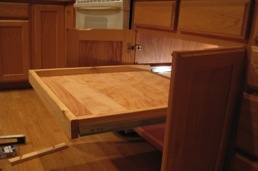 They are affordable, durable, fit for every budget, and can even be customized to work with the cabinets you already have. You can choose everything about the shelves, from the number, to the wood grain, staining, hardware, and type of organization you desire. Having this type of customization adds to the value of your home if you decide later on you want to list your home for sale in Louisville. What Does the Kitchen Really Need? These days’ appearance is everything when you are trying to sell anything, and this is especially true when selling your Louisville home. When you hear Realtors talk about ‘staging’ your home, this means getting everything ready to make a great first impression for prospective buyers when they begin to walk through the door. Here are the top 12 tips to stage your home for fantastic first impressions. • The number one rule for nearly all homes: paint. Even a fresh coat of a neutral shade will brighten the interior of any home, giving it a clean and fresh feeling to those seeing it for the first time. • Green is in! When performing upgrades or modifications, use environmentally friendly labor resources and materials. This adds a great selling point to any property listing. • Up-cycle what you can to save on money, as well as staying within the ‘green’ theme. Hardwood floors can be re-purposed to furniture or fencing, old counter tops can be made into shelves, and doors can be re-purposed into just about anything to compliment the home's style and offerings. • Allude to more space. 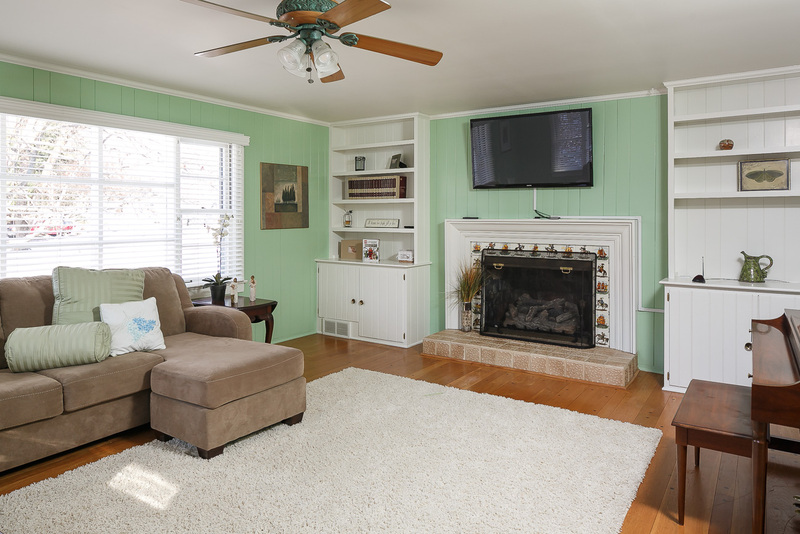 For a small space, paint the same color as the adjoining room. For example, painting a small kitchen and open dining room the same color will make the area appear larger than it really is. Another example of giving the impression of bigger spaces is by hanging curtains that are the same color as the walls. This gives the interior a modern and seamless look. 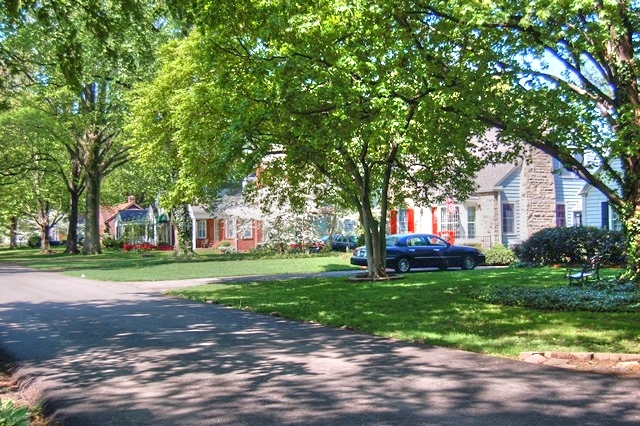 Let’s explore one of the most popular cities within a city, St. Matthews and discover what it has to offer people searching the listings of homes for sale in St. Matthews or those thinking about relocating to the Louisville area. 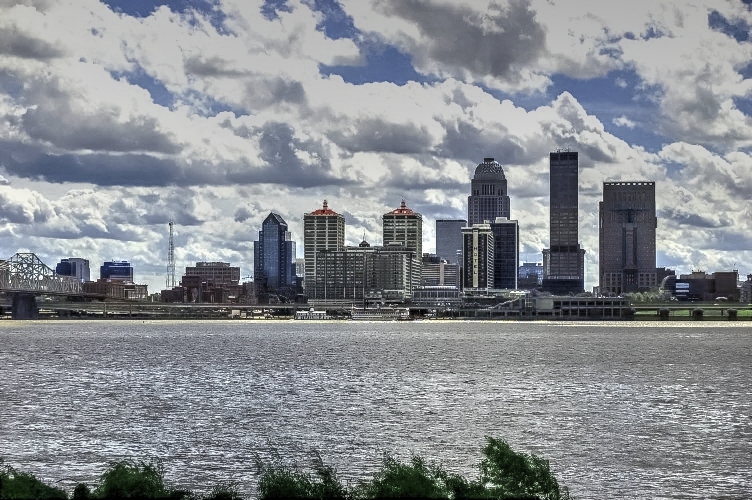 Since Jefferson County KY has merged with the city of Louisville, Louisville Metro is in the top 18 largest metropolitan areas of the United States. This sprawling city is truly a melting pot of cultures located on the Ohio River and the residents of St. Matthews enjoy the best of a small city and a large metro city simultaneously. The city of St. Matthews grew up around the intersecting points of Breckinridge Lane, Westport Road, and Shelbyville Road directly along the railroad. The area was originally farmland owned by farmers Monohan, Brown, Nanz, Rudy, and Oeschner. These are the same names you will find on streets, parks, and monuments throughout the city of Louisville. In the early 20th century, St. Matthews saw residential growth from the use of the automobile and transit traffic. In 1937, the Ohio River rose to dangerous levels, flooding much of the city. Many residents fled the flood plain in search of a drier area to raise their families. Many of these fled southeast from the downtown area into the area that is present day St. Matthews.